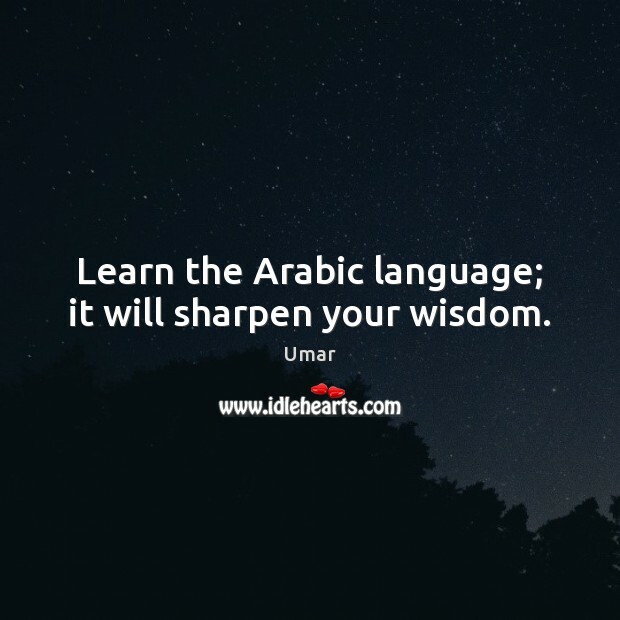 Quotations about Arabic Language. Quotes to stimulate mind and drive action! Use the words and quote images to feed your brain inspiring things daily! 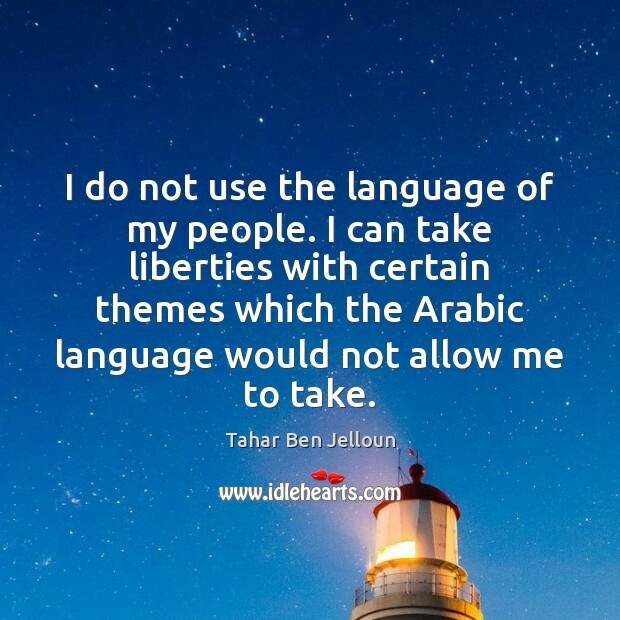 The Iranian people were converted to Islam not very much longer after the conquest of the Arab world by Islam, but they refused to adopt the Arabic language, and it's a great point of pride to them that Persian culture and the Persian language and Persian literature survived the conversion to Islam. 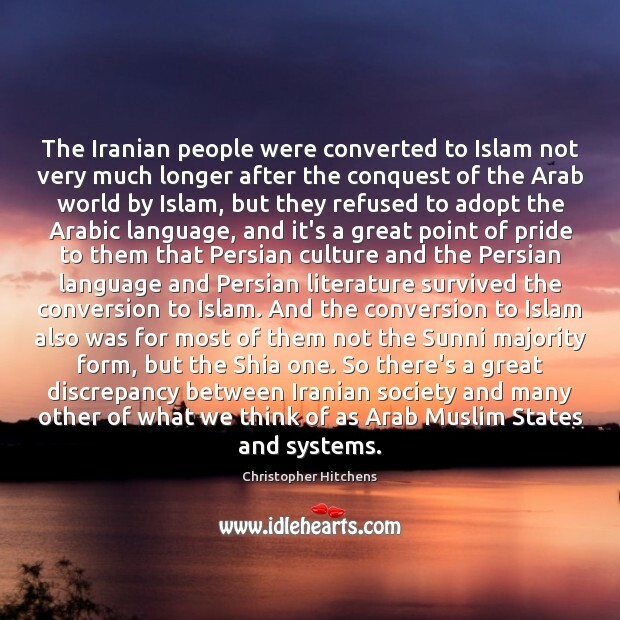 And the conversion to Islam also was for most of them not the Sunni majority form, but the Shia one. 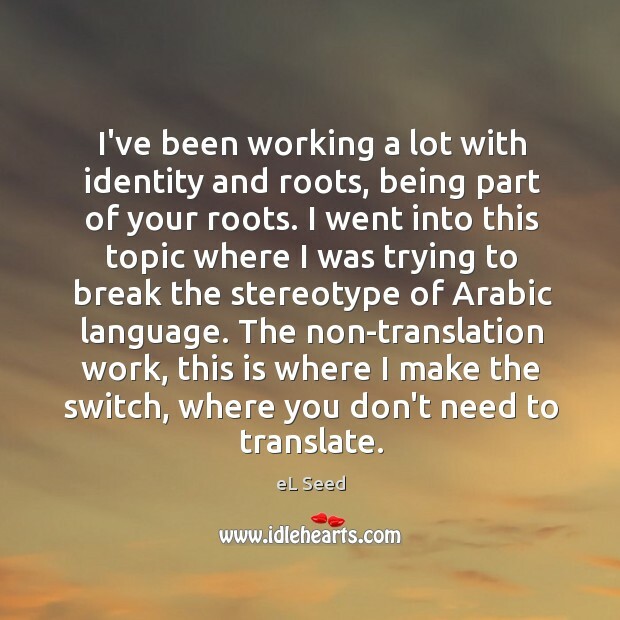 So there's a great discrepancy between Iranian society and many other of what we think of as Arab Muslim States and systems. 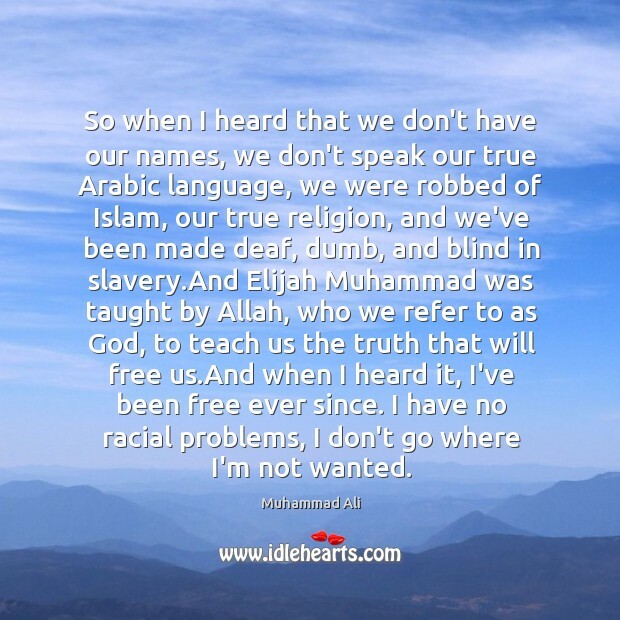 So when I heard that we don't have our names, we don't speak our true Arabic language, we were robbed of Islam, our true religion, and we've been made deaf, dumb, and blind in slavery.And Elijah Muhammad was taught by Allah, who we refer to as God, to teach us the truth that will free us.And when I heard it, I've been free ever since. I have no racial problems, I don't go where I'm not wanted.